In a previous issue, I discussed how electricity can be generated by steam at temperatures lower than the boiling point of water by using a vacuum system. These systems involve the use of a steam turbine which powers the generator head. Have you ever tried to buy a small steam turbine? Have you ever seen a small steam turbine for sale? No? That's probably because they do not exist! Not for sale anyway. The turbines that do exist and are for sale are made for large fossil fuel or nuclear powered steam plants. If you want a small turbine for backyard use, you are out of luck. Unless... you build yourself a Tesla Turbine. 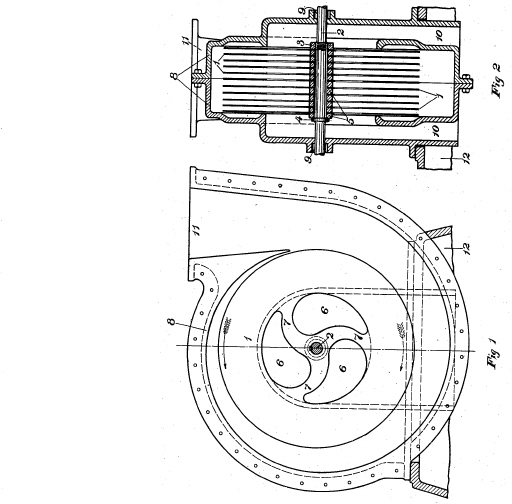 The Tesla Turbine is a simple device invented and patented by Nikola Tesla that uses flat plates instead of buckets or vanes on the rotors. The flat plates use the principles of adhesion and viscosity in order to turn the shaft. The advantages being simplicity of design, very low horsepower to weight ratio, cheap to manufacture, and durability at high RPMs. It's so simple of a design that a lot of people (not everyone) with some everyday tools like a lathe and drill press can make one themselves. What amazes me about the Tesla Turbine is that Tesla saw this as his GREATEST invention. And as you know, every time you flip a light switch, you are using several of Tesla's inventions. I believe that the Tesla Turbine got overshadowed by the internal combustion engine at a time when billions had already been spent on the IC engine for use in automobiles and airplanes. Steam engines were still being used in trains and they worked just fine until the diesel came along (most people don't know it, but diesel locomotives are actually driven by electric motors powered by the diesel generators in a system exactly like the one I describe in "Electricity - Make it, Don't Buy it"). Tesla was not only going to develop this invention for use as a pump and as a steam turbine for electricity generation, but he was going to use it to power automobiles and airplanes because it could also be powered by combusting a fuel and running it like a gas engine. The difference being that it could be run on any type of combustible fuel and there was really only one moving part. Some of his patents are "Fluid Propulsion" #1,061,142, "Turbine" #1,061,206, and his "Apparatus for Aerial Transportation" #1,655,114 which utilized his turbines. Here's a web page from a guy that built a Tesla Turbine and documented every step online... http://www.sredmond.com/disk_turbine.htm. There is a Tesla Engine Builders Association - I really do not know much about them so I can not endorse their products or services, but here is their web site... http://my.execpc.com/~teba/. The only other web page I know of that sells plans on how to build a turbine is Phoenix Navigation at http://www.phoenixnavigation.com/ptbc/home.htm. Again... I do not know much about them, I can not endorse their products or services, so you are on your own. Gas turbines of practical and efficient construction, light, flexible and in every way suitable for automobile propulsion, are not a dream of the future only but a probability of only a very few years hence. At least such is the conviction of Dr. Nikola Tesla, whose newly developed method of fluid propulsion, as he calls it, and which was illustrated and described in last week's Motor World, is attracting so much attention in scientific circles. Dr. Tesla himself considers it the greatest of all his inventions. By his own statement the scientist already has built, run and carefully tested internal combustion engines operating on the new turbine principle and so confident is he of the thorough practicability of the idea that on Friday of last week he informed a Motor World man that he would even be willing today to sign a contract to build and install turbines for automobiles. He readily admits, however, that he would like to have more time, considerable more time probably, in which to develop a method of combustion entirely suited to the turbine. Automobile motors, as a matter of fact, play a distinct part in the inventor's plans for the future. So do airship motors, pumps of various sorts, steam engines in every conceivable size, shape and capacity, and apparatus of other and varied uses. In steam engines and pumps wonderful results already have been obtained, it is his expectation later to accomplish equally wonderful results with internal combustion engines. Bearing in mind that a 110 horsepower steam engine already has been built so diminutive that its rotor or active part would drop into an ordinary water bucket, it would seem that the part of the program which would concern the automobile industry would be well worth investigating. 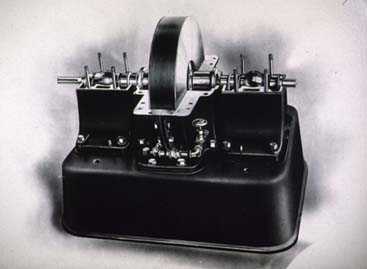 It was the tempting prospect of a pocket-size motor, therefore, which led a representative of Motor World to seek the famous scientist in his offices high up in the Metropolitan Tower in New York. Contrary to popular impression, not all great and famous men are inaccessible, and Tesla proved not only thoroughly approachable but extremely ready to discuss the new turbine principle in many of its bearings. His easy predictions of the future developments of the system and his confident bearing when he declared it to be the greatest of his accomplishments, might have been merely the vaporings of an over enthusiastic inventor; but the broad bearing of the man, his record and the depth of perception revealed in some of his conclusions would have laid at rest such doubts. The new principle unquestionably is a great contribution to science and engineering, great in its simplicity and breadth of application. Just when its fullest realization will be given to the markets of the world is another question; one that Tesla himself cannot answer, though he explained that he is "under great pressure from all sides" to complete the development of certain kinds of apparatus, steam engines and pumps having received a great deal of attention up to the present, and that he expects to have some of them ready for production "before very long." Tall, erect, almost angular, with the broad brow of the philosopher and the sharply chiseled features of the habitual student, Dr. Tesla bears few of the earmarks of the traditional genius. He wears his iron-gray hair a little low in the back, to be sure, but not for an inventor, and when he walks there is just a bare suggestion of histrionic attainments utterly at variance with the hurried preoccupation of the conventional type of man whose brains are stored in the archives of the Patent Office. "We understand that you are doing remarkable things with steam, but how far has your confidence been extended to the gas turbine?" the scientist was asked. "Why, I am working with them all the time," he answered. "You mean to say that you already have built and operated internal combustion turbines employing your principle of fluid propulsion?" "Yes. But I am not satisfied—not yet. You see there are many things to be considered. The turbine, that is one thing; it is complete in itself and there is no question of its applicability. But when you come to the combustion of the gas you have a new difficulty. I am not satisfied with the present methods of gasification. I have tried one of my turbines discharging the gas into a chamber and then spraying water into it. You see in that way you get an intermittent flow through the nozzle, but you also have better thermal action because you get your adiabatic expansion, [meaning that in which theoretically there is no loss of heat]. And then, I have tried with gasoline using a constant jet, in which you get less efficient thermal action but better action for the turbine. But I am not yet satisfied. I think that some day we shall get better processes of combustion that will enable me to work more advantage with my turbine. "You see, that is one great trouble," continued Dr. Tesla. "The human mind thinks but to complicate. As soon as one problem is solved, that solution introduces new complications, other problems that perhaps did not exist before. That was one of my great troubles when I was younger, I invented many things that were very fine, but always I was getting into complications. I have had to work very hard to overcome that. But here you see what I have done. Do you see how very simple it is? You take, for instance, the ordinary turbine, a bucket turbine. Here you have around the outside of the wheel a row of little jets, and within, on the periphery of a wheel, a row of buckets— many of them and very small, even on a large wheel. But don't you see that in that entire wheel you have only a narrow strip, a ring perhaps three or four inches wide, that is really useful—that is really active? Here he laid aside the pencil with which he had been illustrating the point, and reverted to the beginning of what he evidently considers his "big idea." "I have been working at this a longtime. Many years ago I invented a pump for pumping mercury. Just a plain disk, like this, and it would work very well. 'All right,' I said, 'that is friction.' But one day I thought it out, and I thought, 'No, that is not friction, it is something else. The particles are not always sliding by the disk, but some of them at least are carried along with it. Therefore it cannot be friction. It must be adhesion.' And that, you see, was the real beginning. "For if you can imagine a wheel rotating in a medium, whether the fluid is receiving or imparting energy, and moving at nearly the same velocity as the fluid, then you have a minimum of friction, you get little or no 'slip.' Then you are getting something very different from friction; you are making use of adhesion alone. It's all so simple, so very simple. "This is the greatest of my inventions," Tesla went on with great enthusiasm. "Now take my 'rotating field'— do you know my rotating field—are you familiar at all with electricity? There are millions invested in it already. Well, that is a very useful thing, but the field is limited to dynamos and motors. But here you have a new power for pumps, steam engines, gasoline motors, for automobiles, for airships, for many other uses, and all so simple." "But is it really true that you have produced 110 horsepower from a wheel only 9 3/4 inches in diameter and two inches wide, as has been reported?" asked the interviewer incredulously. "Oh, yes!" was the reply. "And more. We could get more power. We had 125 pounds steam pressure and no vacuum. We ran it that way for hours." "Yes, sustained power. And we could only use part of the drop in pressure; we would have twisted off the shaft, it was so light, if we had been able to use all the energy of the steam. I had to put in a smaller nozzle on that account." "And they are very light, these steam engines?" "I can build a steam engine that will develop one horsepower for every one tenth of a pound of weight," was the instant and amazing response. "I am now building a double turbine, one with two wheels which must revolve in opposite directions. It is for a special purpose, and I cannot talk much about that, but each wheel develops 200 horsepower, that is 400 horsepower, and it weighs 88 pounds." A no less amazing claim made at another time was that the steam turbine could be made to return in power at the shaft no less than 97 percent of the energy of the steam. There seems to be no limit to what the inventor thinks the new system will accomplish, though, of course, a waiting world may be pardoned for withholding a full verdict of confidence until it has had opportunity to witness some of the promised marvels. As far as demonstration of the basic principle is concerned, however, the success of the idea is unquestionable. A small pump, originally put together for purposes of exhibition before a body of scientists, to whom Dr. Tesla first disclosed his invention, was operated for the benefit of the Motor World man; the inventor himself obligingly switching on and off the current from the little electric motor which drove it, and operating the valve by means of which the discharge could be regulated to increase the flow and decrease the pressure, or vice versa. The rotor, mounted in a casing of volute form hardly more than six inches in diameter, contained five disks of three inches diameter. From a small tank, which was part of the model, water was drawn into the casing and forced through a pipe with a lift of 18 inches or so to a long strainer in a horizontal pipe, whence, after passing a baffle plate, to break up the flow and prevent splashing, it fell back into the tank over a miniature weir in a beautiful clear sheet. The hand of a pressure gauge indicated four pounds when the valve was closed, but fell to a little under two pounds when the full discharge was permitted. With the valve closed, the action of the disks was shown to good advantage. Rapidly snapping on and off the switch, the inventor gleefully pointed out how the hand of the gauge jumped up and fell back again so closely in response to the speed of the motor, as judged by the hum of its commutator, that eye and ear failed to detect the difference. "And so you really believe that a practical form of gas turbine can be developed on this principle and in such shape that it could be profitably adapted to automobile use?" asked the Motor World man. "I am so sure that I would make a contract today to build gas turbines and equip automobiles with them."